1. Freedman S, Haladyn J, Floh A, et al. Pediatric myocarditis: emergency department clinical findings and diagnostic evaluation. Pediatrics. 2007; 120(6): 1278-85. 2. Feldman A, McNamara D. M yocarditis. Engl J Med. 2000; 9: 343(19): 1388-98. 3. U kena C, Mahfoud F, Kindermann I, et al. Prognostic electrocardiographic parameters in patients with suspected myocarditis. Eur J Heart Fail. 2011; 13(4): 398-405. 4. Lee K, McCrindle B, Bohn D, et al. Clinical outcomes of acute myocarditis in childhood. Heart. 1999; 82(2): 226-33. 5. Nakashima H, Honda Y, Katayama T. Serial electrocardiographic findings in acute myocarditis. Intern Med. 1994; 33(11): 659-66. 6. Chien S, Liang C, Lin I, et al. Myocarditis complicated by complete atrioventricular block: nine years’ experience in a medical center. Pediatr Neonatol. 2008; 49(6):218-22. 7. Caforio A, Pankuweit S, Arbustini, et al. Current state of knowledge on aetiology, diagnosis, management, and therapy of myocarditis: a position statement of the European Society of Cardiology Working Group on Myocardial and Pericardial Diseases. Eur Heart J. 2013; 1-17. 8. Dec GJ, Waldman H, Southern J, et al. Viral myocarditis mimicking acute myocardial infarction. J Am Coll Cardiol. 1992; 20(1): 85-9. 9. Batra A, Epstein D, Silka M . The clinical course of acquired complete heart block in children with acute myocarditis. Pediatr Cardiol. 2003; 24(5): 495-7. 10. Wang J, Tsai Y, Lee W, et al. Complete atrioventricular block following myocarditis in children. Pediatr Cardiol. 2002; 23(5); 518-21. 12. Blagova OV, Nedostup AV. Contemporary masks of the myocarditis (from clinical signs to diagnosis). Russ J Cardiol 2014; 5 (109): 13-22. Russian (Благова О., Недоступ А. Современные маски миокардита (от клинических синдромов к диагнозу). Российский кардиологический журнал. 2014; 5 (109): 13-22). 13. Guideline for cardiology. Ed. 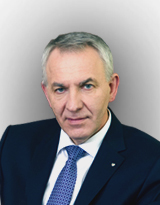 Kovalenko VN. K. M orion 2008; p. 1424. Russian (Руководство по кардиологии. Под ред. В. Н. К оваленко. К.: Морион, 2008; с.1424). 14. Krasnovsky AL, Grigoriev SP, Alekhina RM, et al. Non-rheumatic myocarditis (part 1). Acute and urgent conditions in medical practice. 2010; 10: 1-10. Russian (Красновский А. Л., Григорьев С. П ., Алехина Р. М ., и др. Неревматические миокардиты (часть 1). Острые и неотложные состояния в практике врача. 2010; 10: 1-10). 15. Kindermann I, Gärtner B, Gadomski K, et al. Correlation of virus serology with molecular biology in the diagnosis of viral myocarditis. Z Kardiol. 2004; 93: 278.